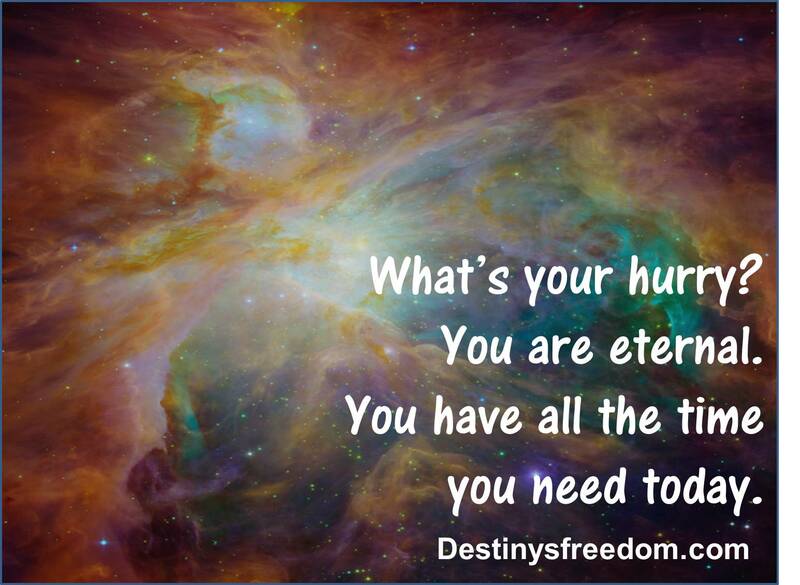 You are eternal … what’s your hurry? What’s your hurry? You are eternal. You have all the time you need today. A gentle reminder that you don’t need to be rushing around all the time. Trust your instincts. Trust God to direct your steps … and stop being in such a hurry every day. Slow down, enjoy life – you are eternal. You have all the time you need to accomplish what is essential today.